Gabi Avallone, started off her athletic career with swimming at the age of 9. She continued on to swim for Sierra Junior College where she was an All-American for the 800 yd free relay and 1650 yd free. 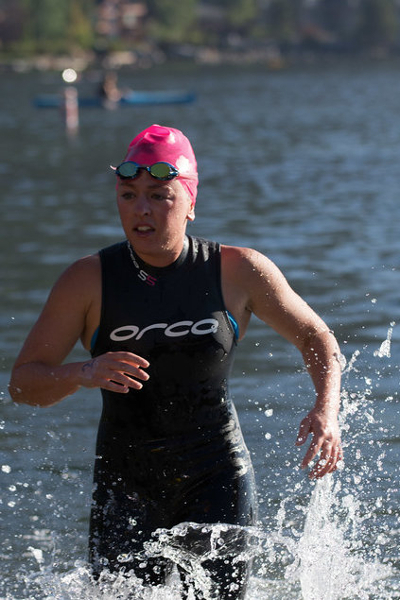 Since she has moved to Reno, NV, she has won the overall Donner Lake Open Water half-mile swim and the overall for women for the Truckee Swim Classic. She was second in her age group for the 2016 Aquathlon Nationals and placed top 25 for the 2016 Spartan Sprint World Championships for women. She is currently a member of TBD Racing, Love the Pain Ambassador, and a swim coach for the Folsom Tigersharks Swim Team. Her favorite things about Tahoe are hiking the trials and swimming in the open water.